Every week we sample and taste dozens of wines at First Glass. Many of them are samples that have been provided by wineries for assessment, others are opened and poured at our Wednesday or Saturday tastings. 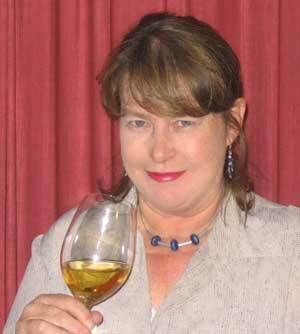 These notes come from our Fine Wine Wednesdays tastings and are compiled by wine writer Sue Courtney. The following reviews are based on how we found the wines on the day or evening. On occasions the review is made on a single bottle but at the Wednesday tasting there will usually be 3 or 4 bottles of each wine opened. Clearly wines will taste differently, depending on the various circumstances but as the views of a number of people are considered, the comments do not become the opinions of just one person. Many of the following wines are stocked by First Glass, others are wines that may be considered for stocking at a future date. White gold in the glass with a lemon cream biscuit scent and a crisp, fresh, lightly foamy taste with steely acidity underpinning hints of vanilla and creaming soda, and a fine dry finish with a soft and pleasing lingering taste of dehydrated apple. 11% alc. Cork. First Glass Price: $16.99. Straw gold in hue with a delicate fragrance and a touch of salinity to the lightly zingy and fairly crisp taste with satisfying, food-friendly palate weight and tropical guava-like notes complementing out the sucking-on-a-peach-stone finish and just a hint of herbaceousness. Elegant and not a run of the mill style. 14% alc. Screwcap. First Glass Price: $21.99. Light yellow gold. Evocatively fragrant with delicate hints of peach, apricot kernel and almond blossom. Full-bodied in the palate with restrained spicy oak, an almost oily richness to the flow, underlying gunflint and lingering nuances of lemon and gauva. Exhibiting elegant Burgundian restraint rather than flamboyant fruit at this youthful stage of its life yet hints of stonefruit flesh out nicely as the flavours linger. 13% alc. Screwcap. First Glass Price: $31.99. Light yellow gold with a bouquet reminiscent of salted caramel popcorn before it has popped, and full and fat in the spicy oak palate with sizzled butter, butterscotch and more salted popcorn suggestions with fruit playing a supporting role. There’s a mellow savoury impression as the wine lingers softly yet persistently with a touch of pineapple lifting the rounded and more-ish finish. 14% alc. Screwcap. First Glass Price: $38.99. There’s the merest wash of baby pink to the glassy hue of this Blanc de Noir made from pinot noir. Cherry and subtle nuances of musk float on the scent and strawberry and pepper fill the taste with a lightly viscous mouthfeel and lingering touches of salinity that make you want to have another sip. Dry to off dry in style with a succulence to the cherry-filled finish. 13.5% alc. Screwcap. First Glass Price: $24.99. Made from a blend of Touriga Nacional, Syrah, Tinta Roria and Alicant Bouschet, this is vivid purple black in the glass with vibrant magenta edges.The bouquet is awash with dark plums, prunes, tar and polished oak and it is immediately seamless in the spicy, savoury, oaky, medium to full-bodied palate filled with succulent dark berry fruit and accents of baking spices and pepper. Terrifically tasty with lovely balance of fruit and savouriness and tannins more noticeable on the long dry finish. 14% alc. Cork. First Glass Price: $27.99. Inky black red with crimson edges. Dark, dense, smoky and tarry with a wafting fragrance of plum jam cooking in the kitchen. A massive wine to the taste with bright berry fruit, powerful tannins, tar, spice, leather and fruit cake. It’s a rich, meaty, dry-styled red with touches of liquorice on the velvety and almost creamy finish. Very very tasty with loads of flavour. 14% alc. Cork. First Glass Price: $34.99. Deep dark cherry red, more translucent than opaque. Attractive rosehip and milk chocolate bouquet. Seemingly medium-bodied in the fruit driven palate with early season plums, glace cherries, blueberries and cake spices, a touch of toffee apple and creaminess to the mouthfeel as the flavours linger. An approachable blend of Grenache, Shiraz and Mouverdre with fine tannins, vanillin oak playing a supporting role and a pretty finish. 14% alc. Screwcap. First Glass Price: $21.99. Bright purple red with crimson edges. The fragrant bouquet is reminiscent of berry pie with a suggestion of chocolate box and tar. Immediately spicy and peppery in the silky palate with succulent purple plum, cherry and mulberry fruit, dry savoury oak, strawberry chocolate in the background and a long bright creamy finish with lingering juicy oomph. 14% alc. Screwcap. First Glass Price: $21.99. Blackish red in the glass with dark red edges. Nut chocolate, vanilla and cedar fill the bouquet and there’s bright berry fruit balancing out the meaty rustic depth of the palate with oak spice and cabernet’s classic brambly acidity. The tannins have a firm teeth-coating exterior with a plump bouncy centre and a touch of cigar box lingers on the even-toned finish with a subtle nuance of mint. 14.6% alc. Screwcap. First Glass Price: $21.99. This fortified wine is a transparent amber hue with golden edges. The bouquet radiates raisins and brandy-soaked muscatels and the taste is heady, viscous and mouthcoating with candied orange peel and raisin flavours with the fruity succulence beautifully balanced by a pleasing nutty, rancio, mellow oak savouriness. Sweet yet not sweet with touches of orange toffee. Delicious. 17.8% alc. Cork. First Glass Price: $41.99. Light gold with an attractive fragrant aroma of poached pear and a soft citrussy zing to the off dry flavours that are full of delicious honey poached pear. Choc match: Whittaker’s Nelson Pear and Manuka Honey in Milk Chocolate. Enhances the freshness of the wine but the sweet milky creamy chocolate is the overall lingering taste. 13% alc. Screwcap. First Glass Price: $14.99. Crisp, dry and oily smelling and strong and spicy to the taste with tingles of ginger and candied lime with abundant musk flavours in a full-bodied, off dry style. Choc match: Cadbury Dairy Milk Turkish Delight. A sweet sugary chocolate that needs the wine to balance it out, which it does with a peppery vibe and the musky taste of Turkish Delight lingers. 14% alc. Screwcap. First Glass Price: $17.99. Rich ruby red in the glass with an alluring earthy savoury scent infused with leather and spice yet surprisingly fruity to the taste with still fresh acidity, lightly firm tannins, spiced tamarillo and bittersweet berries. Choc match: Whittaker’s West Coast Buttermilk Caramelised White Chocolate. The chocolate is quite sweet and cloying on its own but makes the wine seem silky smooth and rich with a lingering creamy caramel taste. A winning match. 14% alc. Screwcap. First Glass Price: $35.99. A vibrant black red. The bouquet is rich and ripe with wisps of cocoa powder and black cherries and the taste is sweet, ripe, gutsy and full-bodied with prunes and cherries, an earthy savoury undercurrent and smooth tannins that make it seem almost seamless in its flow. Choc match: Cadbury Dairy Milk - Milk Chocolate. This old favourite seems dry on its own compared to the voluptuous wine but it balances the wine’s sweetness beautifully and introduces a fresh acid zing. 14% alc. Cork. First Glass Price: $28.99. Vibrant purple red with crimson edges. The leathery bouquet hints of a savoury wine but there's a juicy plum and mulberry sweetness to the taste with earth, straps of leather and a sprinkle of pepper on a bed of fine tannins. Choc match: Cadbury Old Gold Roasted Almond Dark Chocolate. Makes the wine seem full, smooth and seamless. Good match. 13.5% alc. Screwcap. First Glass Price: $18.99. Dark ruby red with garnet edges. Aromas of cherry jam and spice and quite peppery in the savoury palate with lightly firm tannins and a smoky touch to the finish. Choc match: Cadbury Dairy Milk Black Forest. The chocolate is milky and sweet but the sweetness is toned down by the wine and the glace cherry in the chocolate is the lingering taste. Good match. Deep dark red. Ripe and fruity smelling with touches of vanillin oak, chocolate and cherry then spicy and peppery to the taste with velvety tannins, plums and cherries, irresistibly smooth in its flow. Choc match: Cadbury Dairy Milk packed with Crunchie. This is a milky chocolate and not overly sweet, but makes the wine seem a little more earthy and savoury and drier than it seemed on its own. Inky black red. Deep intense scent of cedar and leather with hints of red berries. Beautiful fine tannin structure, fresh acidity, purity of plum and raspberry fruit, a tingle of pepper and a silky chocolate-like smoothness to the finish. Choc match: Cadbury Dark Milk with Roasted and Caramelised Hazelnuts. The nut flavours are strong and the match brings out a bitterness in the wine. Not a good match. Inky black red with vibrant crimson edges. The chocolate and plum bouquet is cloaked with vanilla and the taste is ripe and voluptuous with fine velvet tannins, juicy plum, prune and bottled cherry fruit, a sprinkle of pepper and a well-balanced nutty oak note to the creamy finish. Choc match: Whittaker’s Black Doris Plum and Roasted Almonds in Dark Chocolate. This is a silky smooth chocolate, not overly sweet, not overpoweringly nutty, nice on its own and an excellent match to this wine. Deep dark red hinting of a little age. There's mint wafting through the bouquet and heaps more in the taste. A firmly structured wine, quite dry with savoury oak and plum and cassis fruit that is starting to fade as bottle developed earthy leathery characters take over yet the cabernet fruit sweetness still signs off the finish. Choc match: Cadbury Old Gold Dark Chocolate with Peppermint. While the mint is complimentary, the chocolate brings out a bitterness in the wine. 14.1% alc. Screwcap. First Glass Price: $33.99. Sunshine gold. Candied orange fills the bouquet and the sticky, delicious, nectar-like taste is crammed with luscious liquid honey and candied tropical fruit with a vibrant and beautifully balanced citrussy zing. Choc match: Whittaker’s Fijian Ginger and Kerikeri Mandarin in Dark Chocolate. This is a excellent chocolate on its own and goes beautifully with the wine, foiling the sweetness a little. The chocolate is subtle in the match, the ginger and mandarin flavours are complimentary and the wine’s flavours are the lasting memory. Excellent combo. 10% alc. Screwcap. First Glass Price: $28.99. 375ml.